Burns Night. My children are terrified that they will be forced to endure the whole of Tam o'Shanter before they get their haggis burgers. But just thinking about the many faces of Robert Burns has always cheered me up—ploughman and dandy, dancer and fiddle-player, womanizing partygoer and soul-searching depressive. A world-class poet, he rose from a two-room clay cottage rented by his gardening father, who was determined to get his children educated even though their mother was illiterate. Just as important to the young Robert’s development was his relative Betty Davidson, who enthralled him with ‘stories and songs concerning devils, ghosts, fairies, brownies, witches, warlocks, spunkies, kelpies, elf-candles, dead-lights, wraiths, apparitions, cantraips, giants, inchanted towers, dragons and other trumpery.’ She would—obviously—head up my list of invitees to my ideal Burns’ Night party. Carpenter's Son & Greek Prof.
My next invitee would be Esther Easton, the gardener's wife Burns visited in 1787. 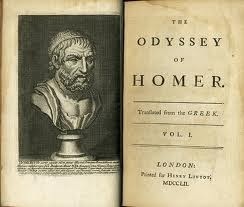 He recorded that she was ‘a very remarkable woman for reciting poetry of all kinds, and sometimes making Scotch doggerel herself—she can repeat by heart almost everything she has ever read, particularly Pope’s ‘Homer’ from end to end; has studied Euclid by herself; and, in short, is a woman of very extraordinary abilities’ and ‘a great florist.’ Esther could recite Pope's Homer and do the accounts and flower arrangements. 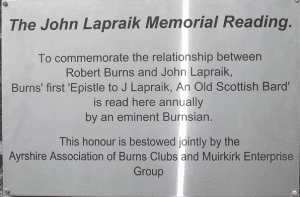 The last, though, would be John Lapraik, a friend to whom Burns showed touching loyalty, supporting him when he was sent to debtors’ prison. 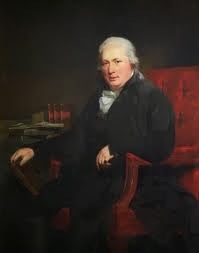 It was in his famous Epistle for J. Lapraik, an Old Scots Bard, that Burns set out his own poetic manifesto: education was all very well, but even men like him and Lapraik, who had not studied at university, could write inspirational poetry. This poem has the added virtue of being short enough to prevent the haggis getting cold. 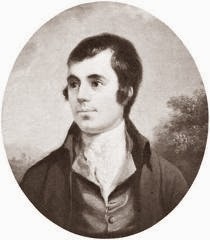 For those of you as mystified by Burns’ dialect as many of his readers were by ancient Greek, you can preface your dinner tonight with this delicious and comprehensible recording of the poem by David Rintoul: http://www.bbc.co.uk/arts/robertburns/works/epistle_to_j_lapraik. This blog is in honour of my TWO friends who share a birthday with Robert Burns as well as a love of all things Greek, Fiona Macintosh and Pantelis Michelakis. What's In an Ancient Place-Name?